London is one of my favorite cities to visit so it's hard to consolidate all of the great things to do here into one itinerary. This is flexible based on your interests and time in the city and the itinerary for each day can be switched around. 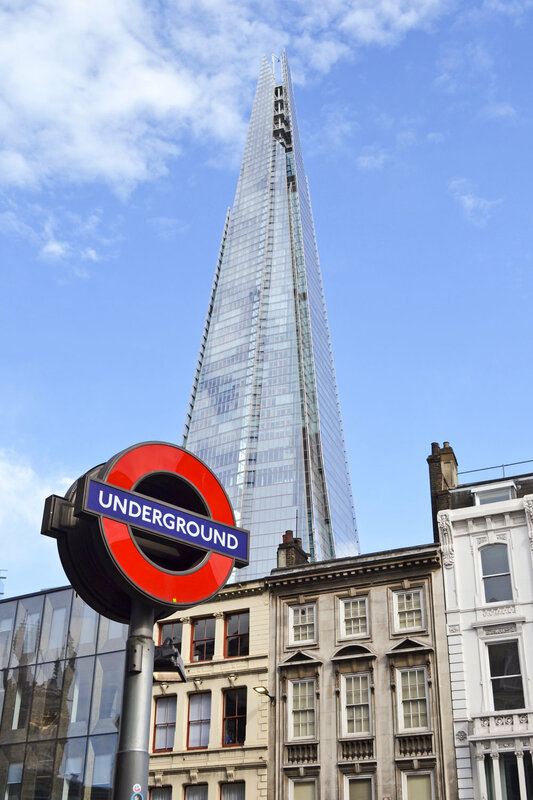 For international travelers who speak English, London is very easy to get around but it is a big city so be prepared to get lost a few times and never be bored for the time you are here! Assuming arrive sometime between Wednesday and Saturday, your first stop should be Borough Market. It's opened from 10am - 5pm from Wednesday - Friday and from 8am - 6pm on Saturday's and makes for a perfect first stop after checking into your hotel. If you are coming from the US, you'll likely land in the morning after traveling overnight so you'll be visiting Borough Market right in time for lunch. There are so many different stands to choose from here but my go to is the grilled cheese shop - Kappacasein. The grilled cheeses here are delicious and so worth the line. From here, you can easily walk over to the shard for a close up view, or head to the top for views of the city if you have some extra time. 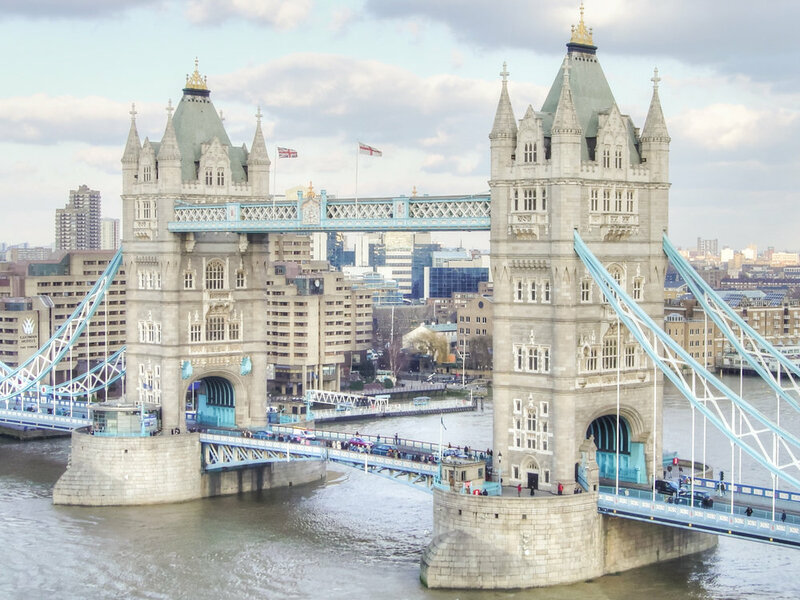 Since you'll be near London Bridge on the South side of the city, walk over the bridge to get one of the best vantage points of Tower Bridge from the walking path. 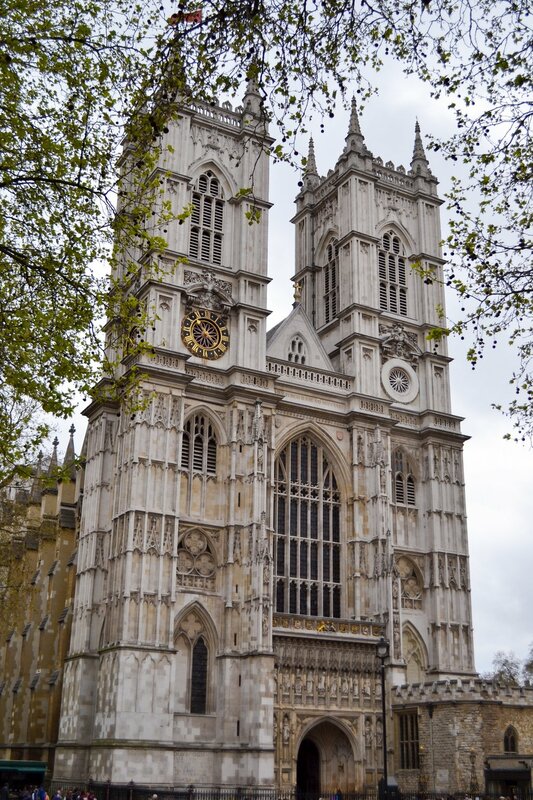 Cross over to the North side of town and walk through The City - London's Financial District, to St Paul's Cathedral. It's worth it to take some time to explore the Cathedral's beautiful inside because you probably won't spend too much time in this area in general. This makes for a good time to head back to the hotel before dinner and drinks. 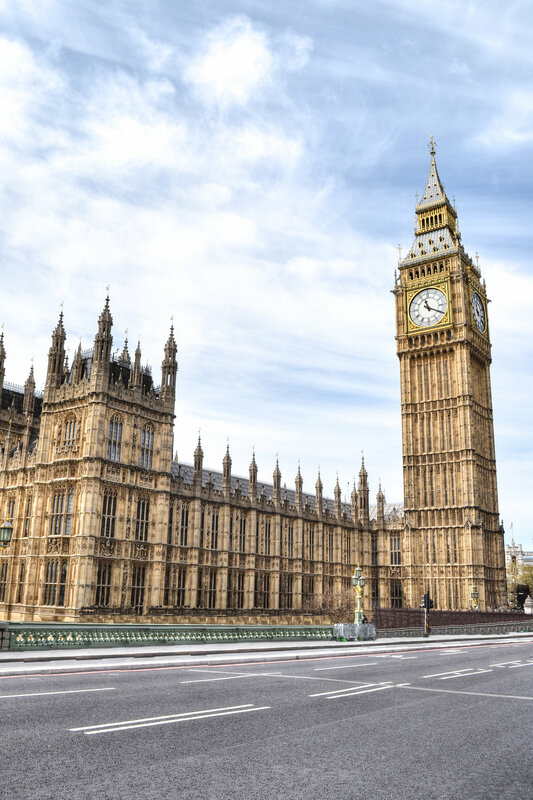 Start the day early heading to Westminster Abbey and Big Ben. 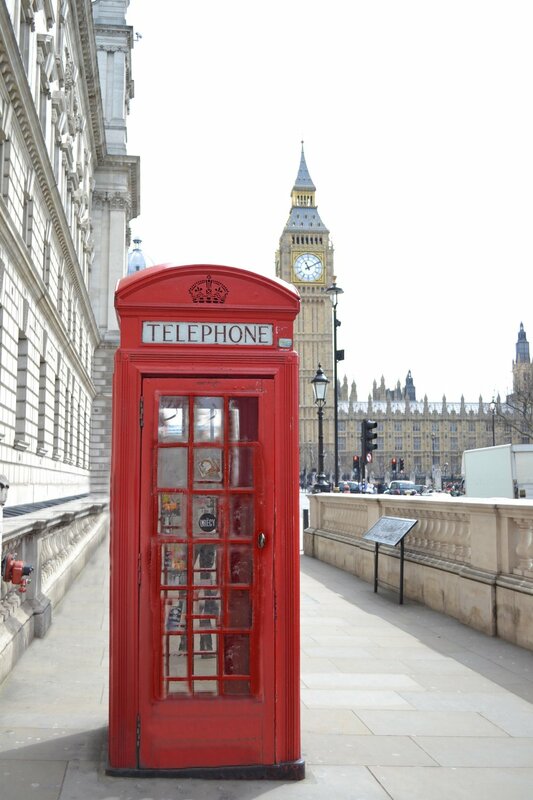 There is a popular photo spot opposite of the Parliament Green Square on Great George St with the iconic red phone booth and Big Ben in the background. From Big Ben, cross over Westminster bridge for views of the London Aquarium, the London Eye and Big Ben from a different angle. Next up is the London Eye. Reserve tickets in advance to limit the wait time. The ride is worth the admission with great views of the city from the top of the Eye. 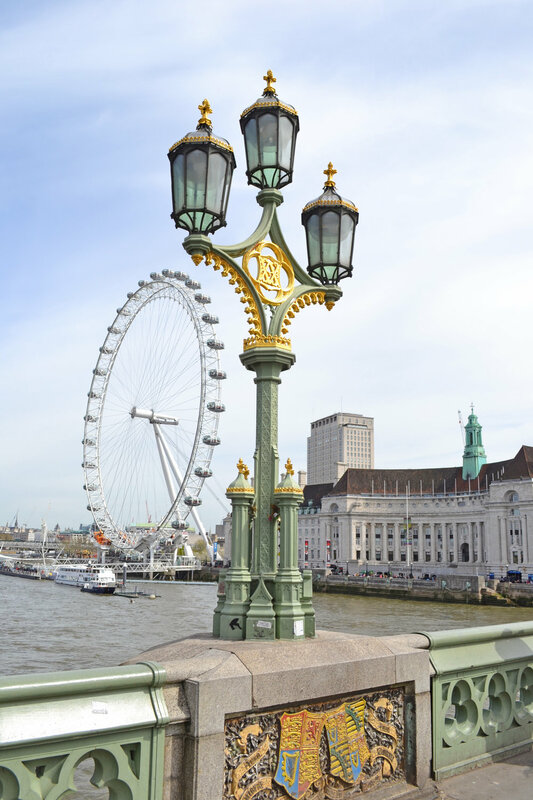 Afterwards, walk along The Queen's Walk to Waterloo Bridge. By this time in the day you'll probably see some pop up food stands on the promenade. We made a quick stop at Bleeker Street Burger and loved it for a quick lunch. This whole walkway borders the River Thames and is a really beautiful walk. Cross back over to the North side at Waterloo Bridge and head to Covent Garden. This is a good place to stop for a coffee, sit outside and watch some of the street performers. Once you've explored this area, you aren't too far of a walk through Leicester Square and onto Piccadilly Circus. Both of these are in the same general area, not too far to walk but also easy to take the tube as an alternative. By this time you will have walked a decent amount and it should be about time for high tea. For the classic British experience, book at The Ritz or Claridge’s. If you prefer a pint over scones and clotted cream, instead hop on the tube from Piccadilly Circus to Hyde Park Corner (it's only two stops on the Piccadilly line) and then walk to The Grenadier. It's a great spot for the classic British pub experience and steeped with history. 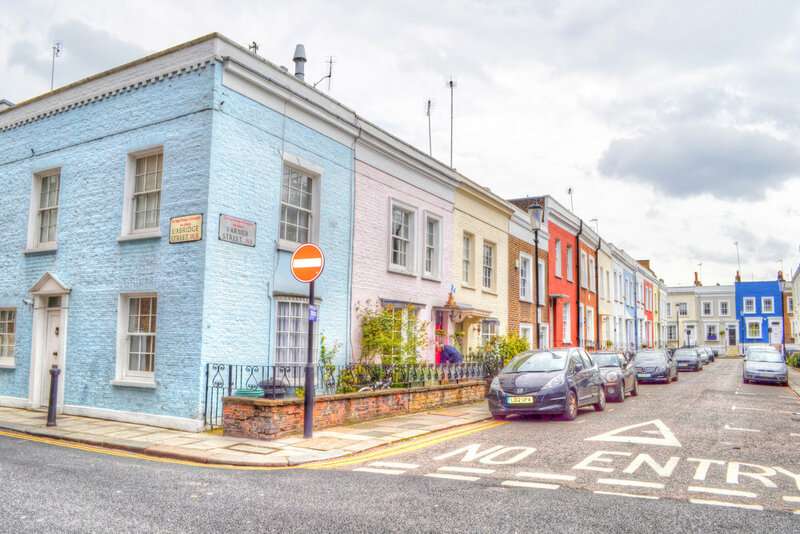 It was originally built in 1720 and opened to the public in 1818 so it comes with plenty of old fashioned charm and it's also hidden in a secluded, wealthy district which makes for a nice walk from the subway. 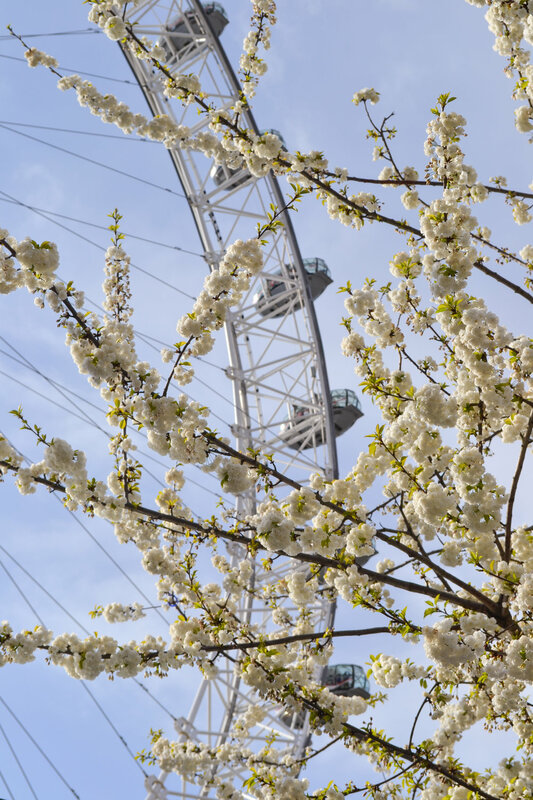 Start the morning by taking the tube to Trafalgar's Square and then head to The Mall which borders St. James's Park to one side and leads to Buckingham Palace. Here is where you'll get the best views as you approach the Palace. Afterwards, head towards Constitution Hill where you'll be surrounded by Green Park on one side and Buckingham Palace Gardens on the other. When you get to Wellington Arch you'll have to cross the street to Hyde Park. The park is a perfect place for a quick picnic. Pick up bacon sandwiches or an early lunch and find a place to relax. 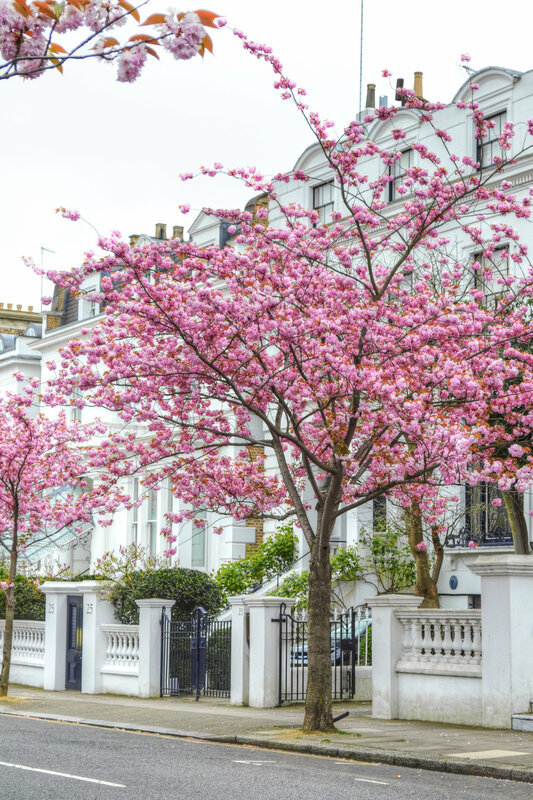 From the park, you can walk south to Knightsbridge, a beautiful neighborhood with it's stately brick architecture and the famous Harrod's. 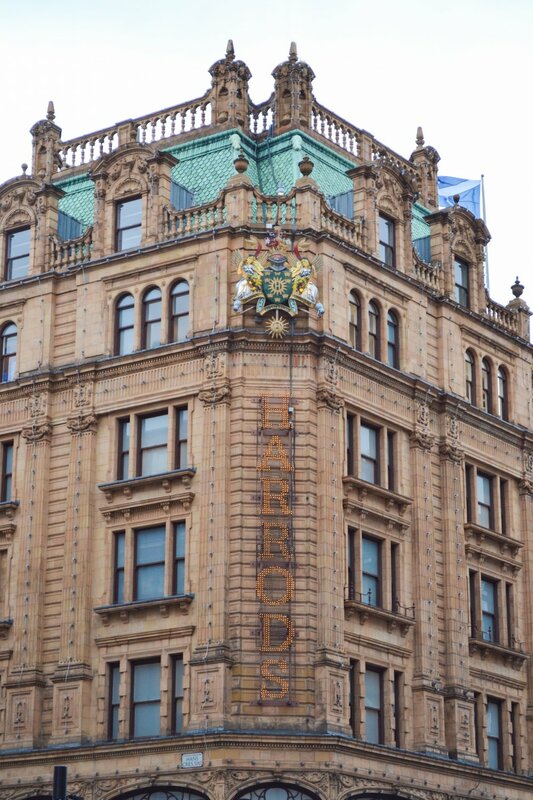 You could spend half the day at Harrod's but unless you're planning on shopping, check out the food court and then spend your time wandering around Knightsbridge and neighboring Belgravia. These areas are all so beautiful and you'll find different architecture everywhere you turn. 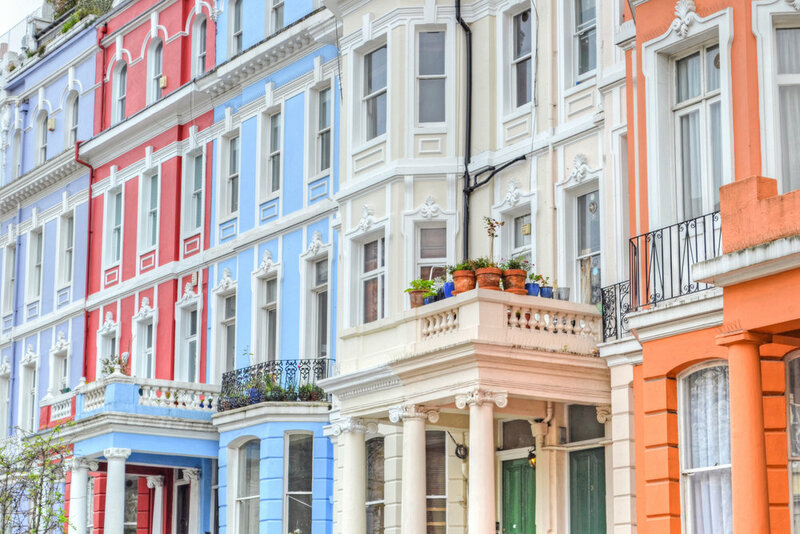 Walk south to Sloane Square and take the District or Circle line one stop to South Kensington and stroll down High Street. There are plenty of boutiques to stop in and this is a good place to stop for lunch. Next head to Notting Hill on the Circle line. 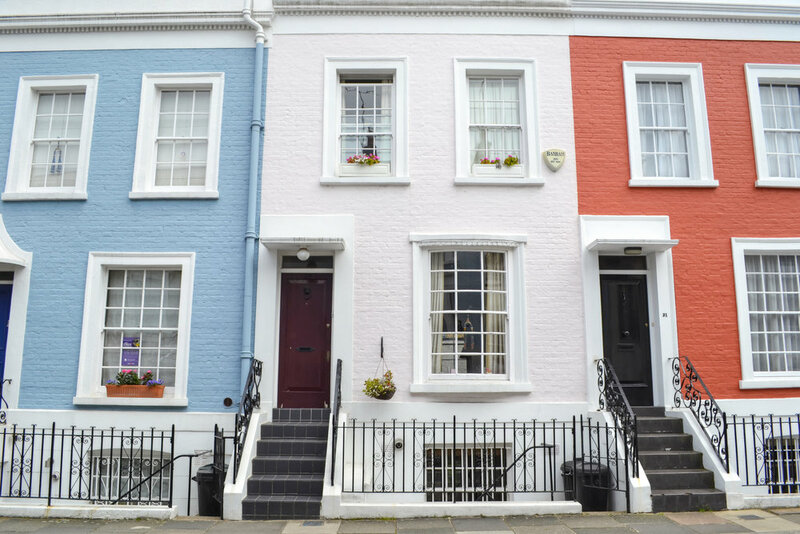 This is another beautiful neighborhood that you could spend hours wandering around. 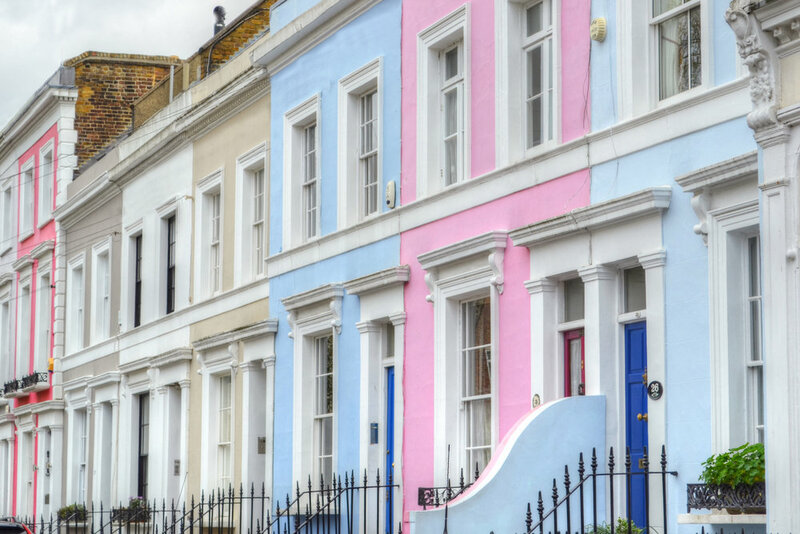 There isn't really a right or wrong way to go here - you can zigzag around these pastel streets and find so many beautiful homes. 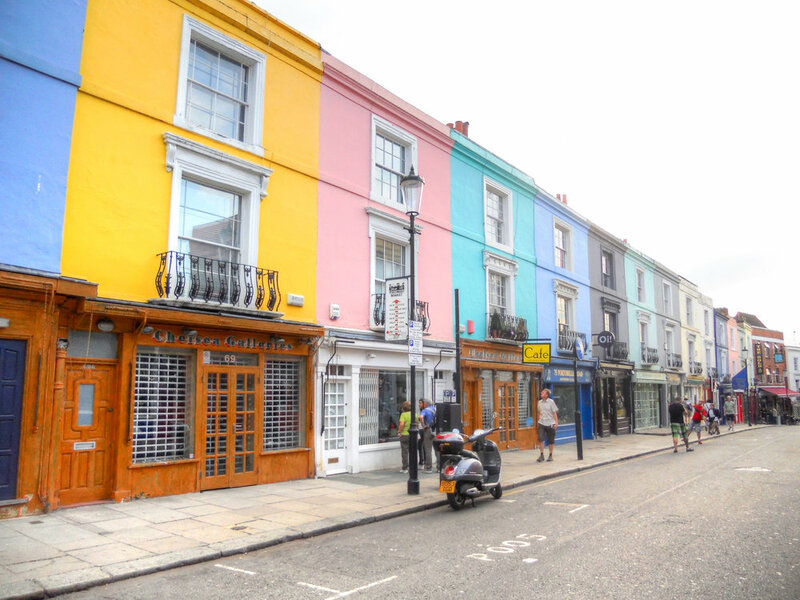 Portobello Road is next up. For a quieter experience, visit during off hours but if you want to check out the market, you can reverse this itinerary starting in Notting Hill (either Granger & Co. or Electric Diner are good breakfast options) and then head to South Kensington, Knightsbridge & Harrod's, Hyde Park for a picnic lunch, Constitution Hall to Buckingham Palace and the Mall. Assuming you're in Notting Hill in the afternoon, stop at The Churchill Arms for a drink. You may recognize it's ornate exterior decorated with flowers and flags. 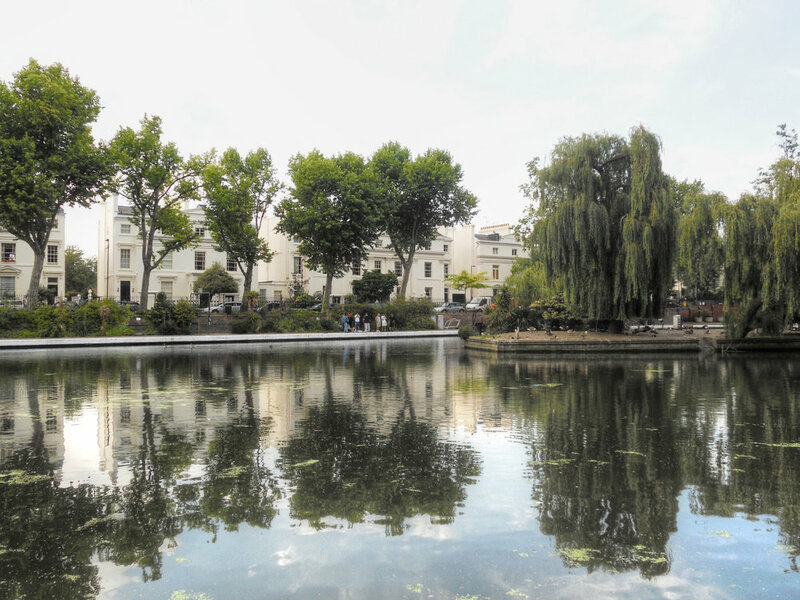 From here, Little Venice isn't too far by the tube and a walk from Paddington Station. It's far less touristy than all the other neighborhoods you've visited so far and much more unique with it's floating house boats and canals. By now it's near time for dinner and drinks. Another night alternative is a show. Similar to Broadway in New York City, there are a number of options at any time and makes for a fun night out. 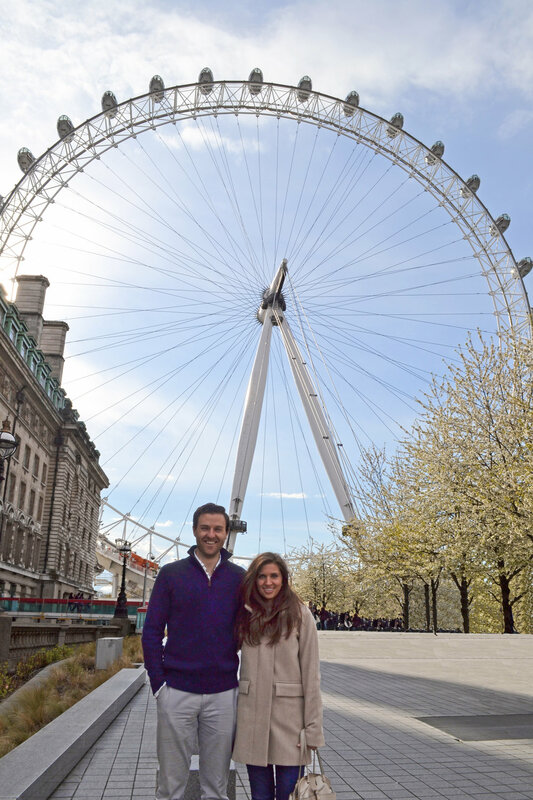 Check out Part II of our London itinerary here.